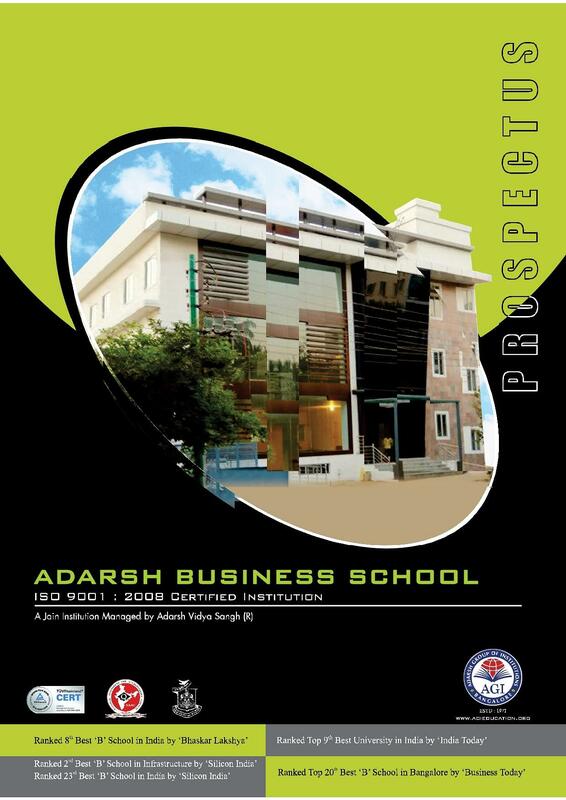 Adarsh Business School is a Jain institute of Business Studies and is known to be a comprehensive arm of Adarsh Vidya Sangh. It is one of the top notch business management schools in South India with renowned academic programs and impeccable infrastructure. 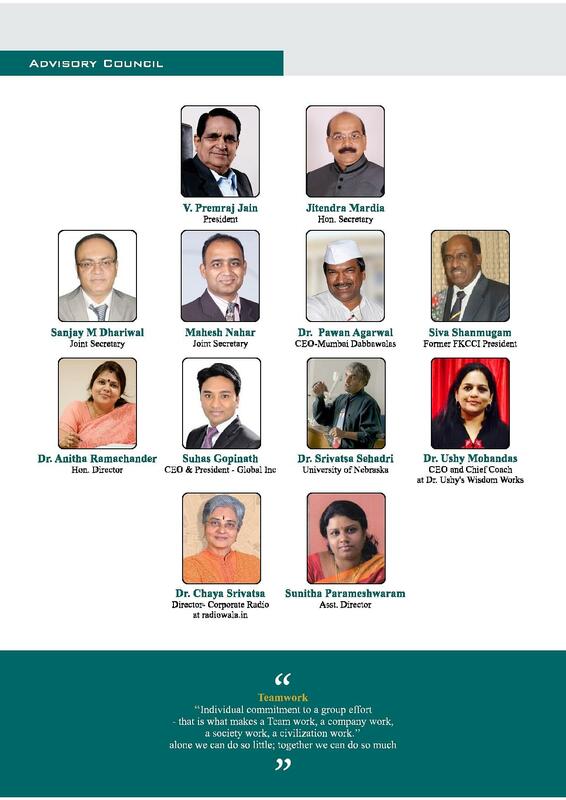 The institute has made commendable progress by grooming the students in the field of business and management. The College has carved the future of aspiring managers via its dynamic case-based learning programmes. It’s MBA and Post Graduate diploma programs focus on the strengths and approach of these students and then nurture their skills to bring the best out of them. Located in the centre of the garden city of Karnataka, Bangalore. 14- 20 minutes from City Bus Stand at Hosur and Market. Buses are easily available for other neighbouring cities. 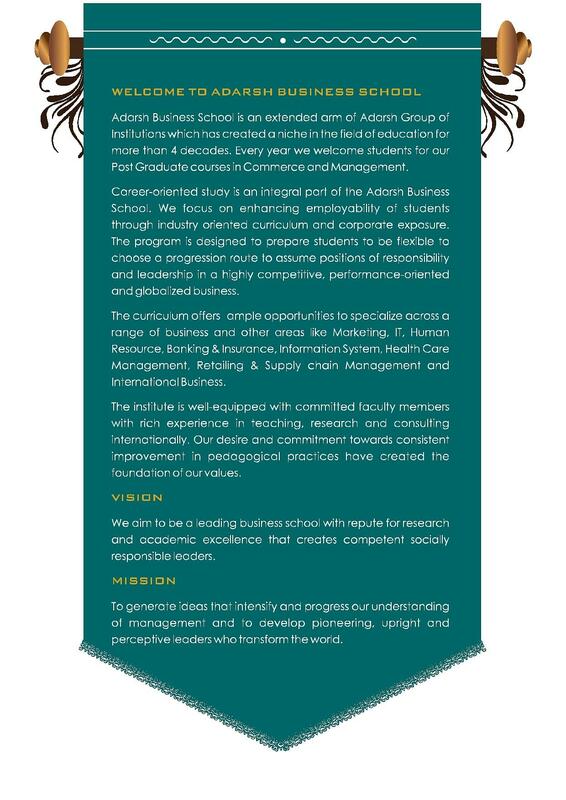 Why to Join Adarsh Business School? 1. 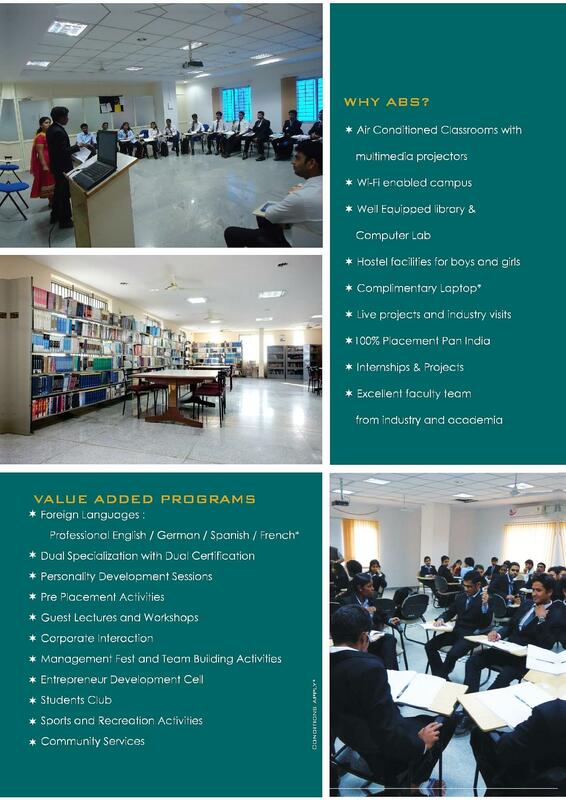 State-of-Art Infrastructure: The College boasts of its first class facilities starting from science Laboratories, AC Class Rooms, auditoriums, and gymnasium and play-ground, Libraries etc. which provides comfortable and conducive study environment to its students. 2. 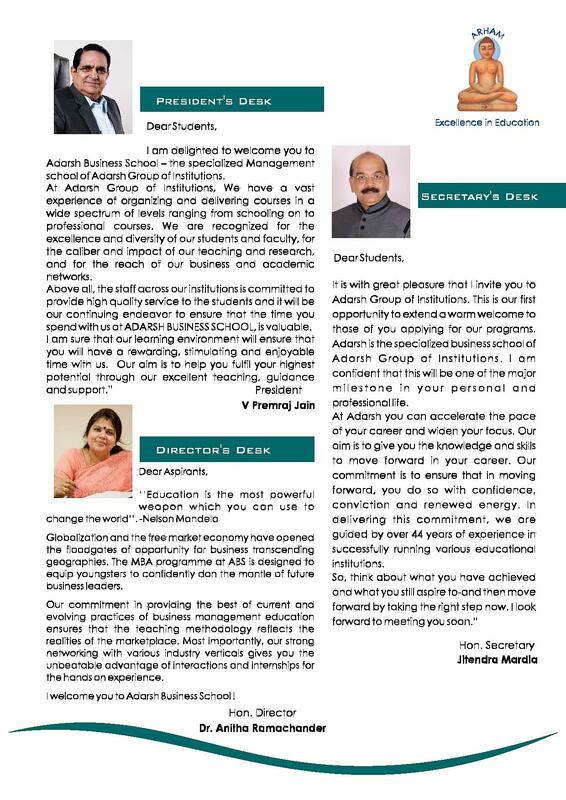 100% Placement and training:The college’s Placement and Training Centre has played a keen role in promoting Adarsh Business School amidst corporations, government and MNCs. Today, its placement track record infuses confidence both in the students as well as in the industrial sectors. 3. Eminent Faculties from industry: The College has specialist and experts from the respective fields, who are putting in their hard work and sincere commitment in making this institute globally as well as nationally recognized. Their innovative and case-based teaching methods are effective as well as appreciative. 4. Globally recognized and well-awarded: The institute has a history of bagging honors and awards like Best B-School, A+ accreditation by NAAC etc. Also, its Case-based learning practical methods like association with Mumbai Dabbawalas, etc… partnership with Top international universities and many more have highlighted the name of this institute.